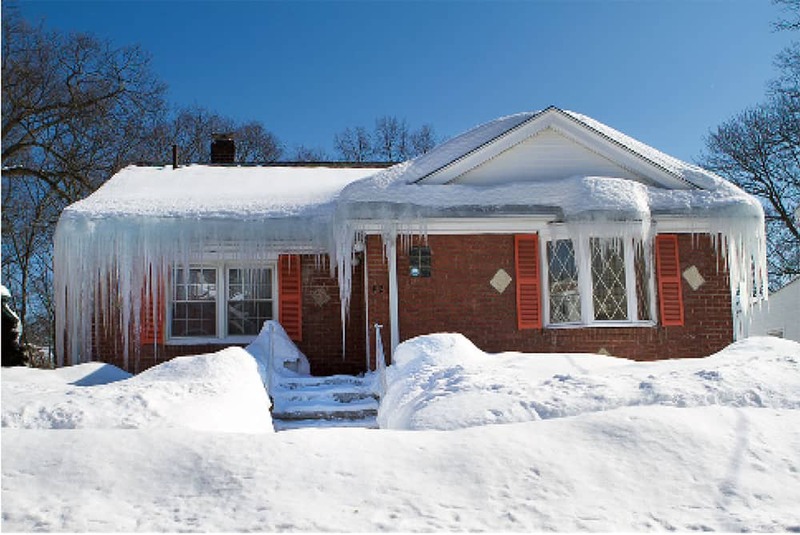 An ice dam is a mass of snow that develops on the eaves of sloping roofs of any type of building, which usually results from the melting and re-freezing of snow during the winter season. Ice dams cause problems such as water leakage, which leads to the overall damage of a building including the ceilings, walls, roof structure, and other elements of the structure. Ice dams are common in cold climate regions with deep snow accumulation. Canadian winter is characterized by snow, ice, blizzards, and powerful wind. If you live in Canada, it is wise to consult with an experienced local roofing company and to thoroughly research tips on taking care of your roof and home in extreme weather. The Northern Hemisphere climatologists consider December, January, and February as winter months. The length of the Canadian winter varies by region and severity because of the country’s latitudinal range. People who live in Canada have adopted many ways of overcoming the hazards that are characterized by the occurrence of the winter. 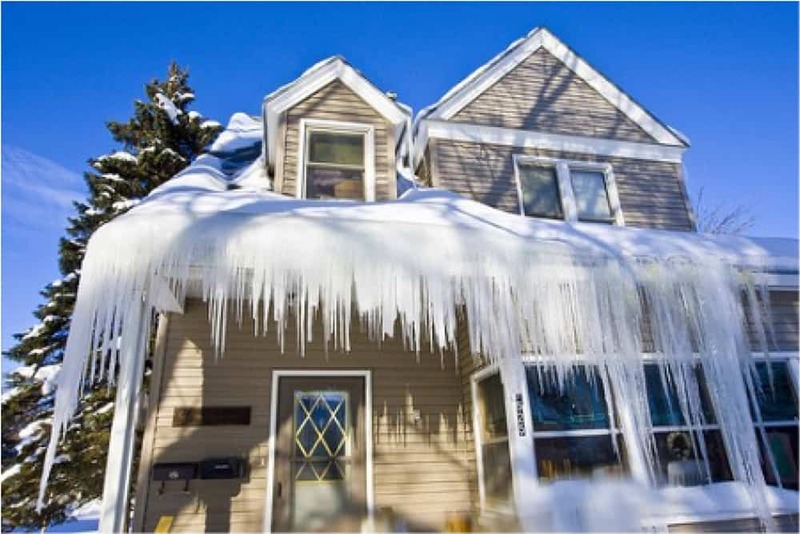 Ice dams can be very harmful if they are not properly mitigated. 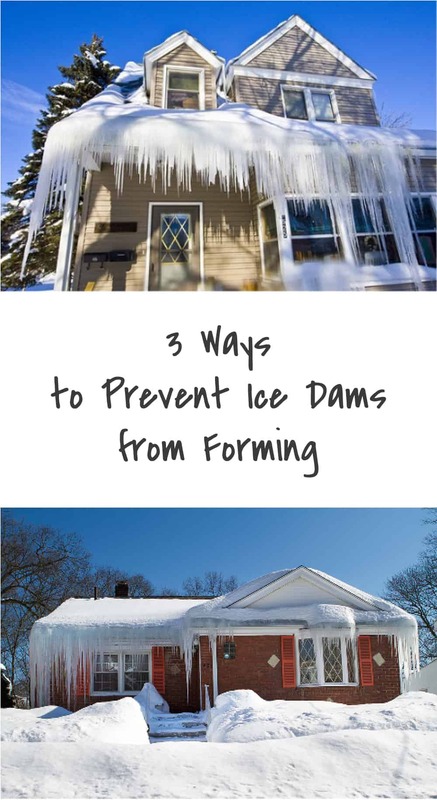 An ice dam’s formation can be prevented in various ways: one example includes the use of high-quality roofing materials. The roofing materials used should assure sufficient insulation in order to prevent freezing of snow at the roof eaves. Appropriate ventilation materials such as ridge vents may also be incorporated in the roof’s design, or added at a later date; this will help in distribution of heat elsewhere. Improved ventilation should result in maintenance of a cold roof surface of a temperature below 300 F. Heat tapes or cables may also be installed on the roof to create channels for melt water to escape, thus preventing a buildup of ice dams on the eaves. Flat slippery roofs are the most ideal for use in preventing the formation of ice dams, by way of constructing a roof from high quality metal. Metal membranes allow snow to slide off the roof before it melts. Flat roofs are easily accessible when you want to clean your roof, though caution should be exercised. Flat roofs also have an extra space where you can install other types of equipment such as HVAC systems. The best kind of roofing materials can be sourced from a reputable roofing company, preferably a small, quality focused, family run company in the GTA. Small, family-run roofing companies provide various residential and commercial roof services at relatively affordable prices and their services range from roof repair to installation, removal, replacement, and sale of different types of roofing materials. Affordable roofers offer roof buying guides to assist customers in choosing the type of roofing material that suits their needs and convenience. They perform maintenance on eavestroughs and downspouts in order to ensure efficient operation. Correctly pitched eavestroughs that are free from debris facilitate smooth water flow to downspouts. Downspouts help in draining water from the basement of a building. The eavestroughs and downspouts are provided in fifteen distinct colors. Affordable roofers should be experienced in performing all types of roof repairs and should also offer an exceptional 24-hour emergency service that is related to repair of emergency roof leaks, wind damage, flat roof repairs, eavestroughs repairs, and heating cable installment 365 days a year. I didn’t know that affordable roofers should be experienced in performing all types of roof repairs and should also offer an exceptional 24-hour emergency service. Our roof had ice dams last winter and caused major damaged in our roof. My dad suggested hiring commercial roof services and shared this article with us.